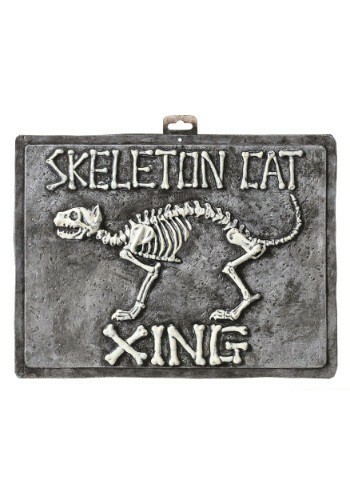 Embossed with cat skeleton and "SKELETON CAT XING"
Is there an abundance of skeleton cats in your neighborhood? Those poor little fiends sure have it rough out there in the wild, dealing with other larger skeletal predators but also with safely crossing the roads. Well if you want to help make life... or the afterlife, we suppose, a little easier for these guys you could go out into the night and attempt to clear out all those larger undead threats for them. That would take a lot of your time up, though... so, why not help them out with the whole crossing the street thing? Help to make everyone in your neighborhood aware of these creepy critters, as well as any travelers passing through with one easy step. 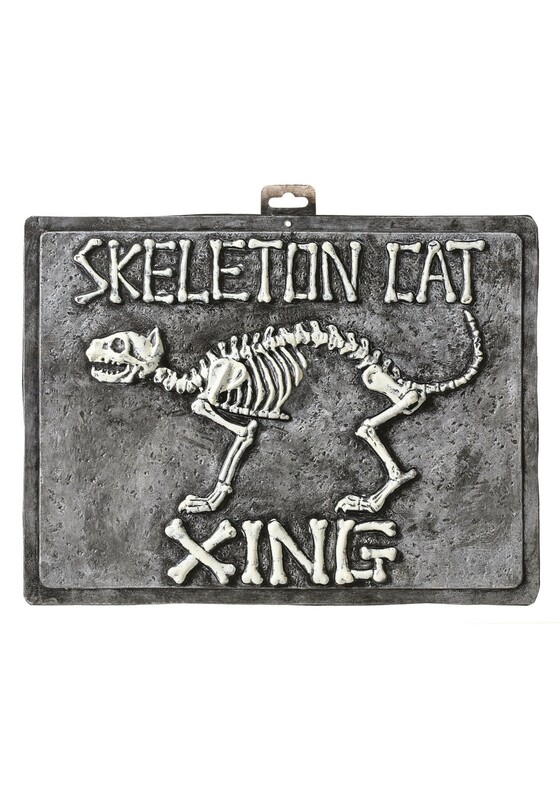 All you need to do is hang this Skeleton Cat Xing sign up in your front yard. Once others take notice to your sign warning them of these freaky felines they can start keeping an eye out for them and you can sleep sound at night knowing the skeleton cat species is safer because of you!